A Kappa is a Japanese water goblin or demon. It’s name means River-child and a local would describe it as a Yokai. This Kappa is at home in the pond at Tsujikawayama Park near Fukusaki in Hyogo Prefecture. The head of the beast is important; Kappa’s have power while their hairless patch is filled with water. Some consider Kappa also to be cryptids. As a cryptid it means there might actually be river-creatures not yet documented by science, that fit the Kappa description, living in Japan. What Kappa myths and legends do you know? Share them in the comments below and discuss with other readers. Tempted by a holiday in Japana? Sites like Kuoni offer package deals and Expedia has a range of Tokyo breaks. Sumer is the original “land of the civilized kings” and was one of the first ancient civilizations in Mesopotamia. The god of beneficence, Enki, is Sumerian, as if Enlil the lord of ghost-land, Sin the moon god and even An who was the god of heaven. 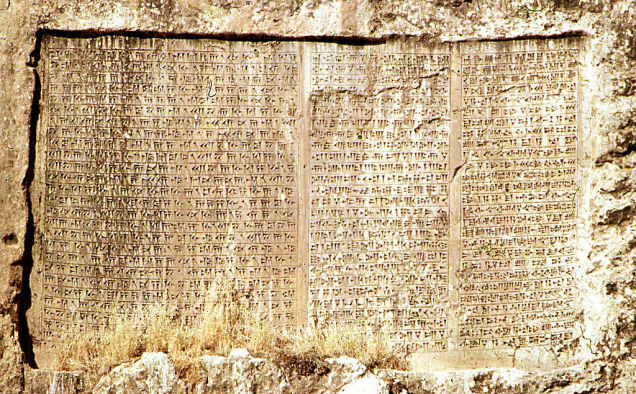 Now musician Stef Conner learned how to read and pronounce several ancient Babylonian and Sumerian records to re-create their sounds. This is both art and science. The Soundcloud embed above lets you listen to the results and you’ll be amazed at how it sounds. What do you think? You’ve heard ancient Sumerian songs recreated from original records. Are you a fan? Have you taken any empowerment away from this music? If you want to get back into music yourself then sites like can be a helpful starting place. Isn’t it remarkable? Normally the waves round down stones over time. That’s where sand comes from. In this case we’ve square salt cubes washing up. Salt would normally dissolve in water. Cubes caught in waves wouldn’t keep their straight edges for long. Have you ever been to the Dead Sea? What was it like and would you recommend it to others? If you’re tempted by a holiday to the Dead Sea then you can check out Expedia’s city guide, easyJet’s holiday page or even Lastminute’s insights. John Green, author of The Fault in Our Stars, and host of Mental Floss takes us through some 27 unbelievable local traditions. He begins with Cooper’s Hill cheese rolling, describing how the cheese wheel can hit speeds on 70 mph, and then moves on to really weird stuff. How weird? We’ve got monkey buffet (for monkeys) in Thailand, the Pamplona running of the bulls, baby jumping, Japan’s Namahage Festival in which demons knock on doors and Le Tomatina. Which weird local traditions do you know about? Any you’d recommend? If you’re interested in reading more about strange festivals and holidays then Car Rentals.co.uk has more on the Pamplona Bull Run and Low Cost Holidays has some insight on cheap holidays in Japan. This remarkable video captures a “total cloud inversion” that filled the Grand Canyon. There’s no sound. What you see, over a time-lapse, is low cloud coming in to fill the Grand Canyon, lapping at the edge and then retreating again. 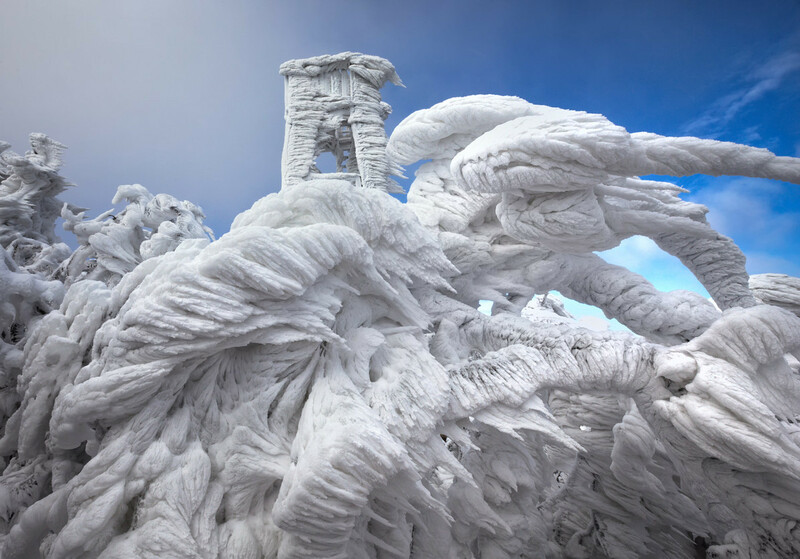 What’s the most surreal natural sight you’ve ever seen? Looking for holidays to the Grand Canyon? You can try Expedia, Virgin Holidays or take the ethical approach with Responsible Travel. 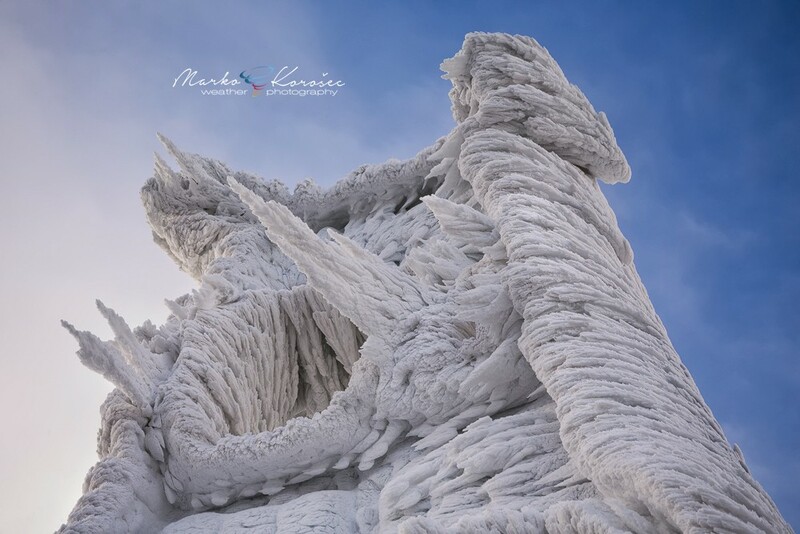 Photographer Marko Korosec responded to a lull in the weather after a long period of snow and wind to climb Mount Javornik. 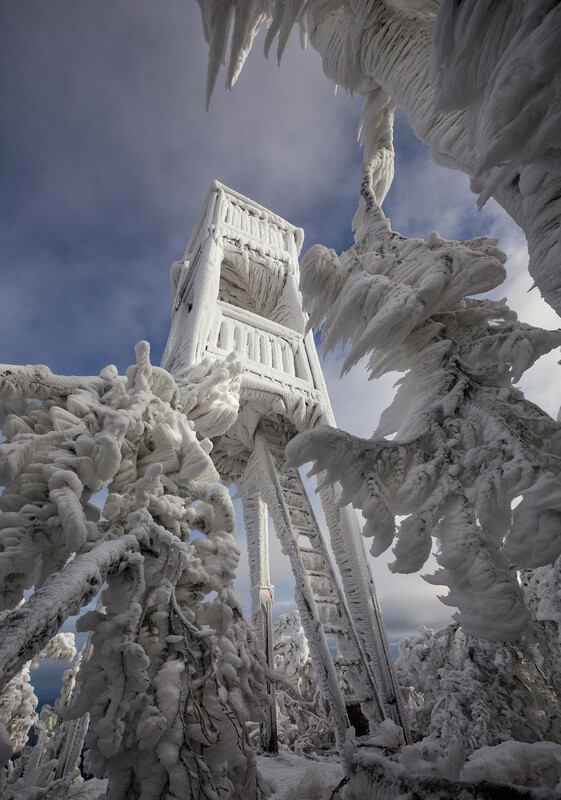 The mountain in eastern Slovenia is better known for ski holidays than alien-like discoveries but it is the latter Korosec found. 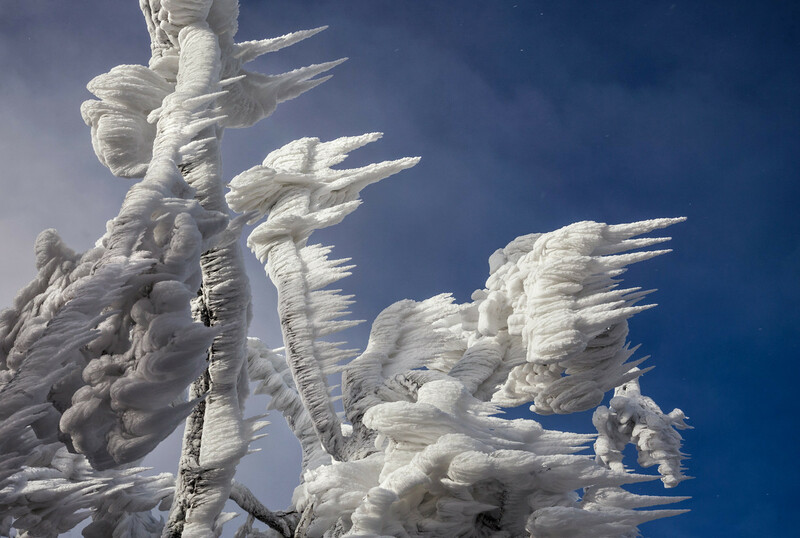 The trees and towers have been encased in layers of ice. 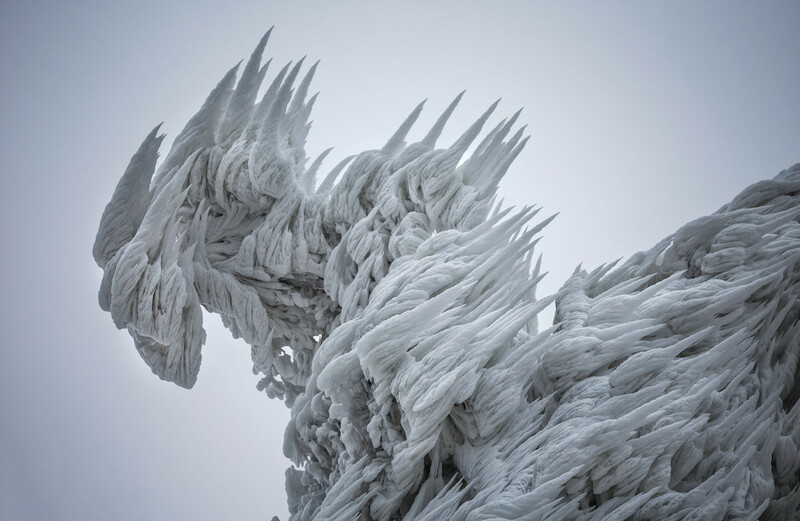 Some of the ice spikes are said to have over a 1 metre in length. Like this? You can see more photos over at 500px. Where would you recommend to take a camera and visit for some fantastic winter photography? German artist Kilian Schoenberger shared their Dark Forest photography project on Behance. It’s described as “back into the light” this is “where Hansel and Gretel lost their way”. The photographs were actually taken by wandering through the remote forests that line where the Iron Curtain in Central Europe used to be. We’ve pictures from Germany and the Czech Republic in the set. Which forests would you recommend for fantastic photography? Have you any holiday or flights to Germany tips to share? The important difference between ionizing radiation and the sort of radiation you might get with your smartphone is brought to life in this strange tour video. Two sieverts of radiation will kill you. A banana has 0.1 microsieverts. In order to compare normal radiation (and we can use bananas as comparison now) this brave team goes to some very strange, interesting and radioactive places. Would you ever suit up and go on a radioactive tour? Or would you much prefer to spend your summer holidays on a beach in the sun? Places right across the world have their own local tales and folklores to tell, passed down from generation to generation. You hear about them when young and it adds intrigue to certain spots and locations near where you live. They draw people in to an area who might otherwise never visit, to see and feel where the story was said to occur, however strange, however quirky. 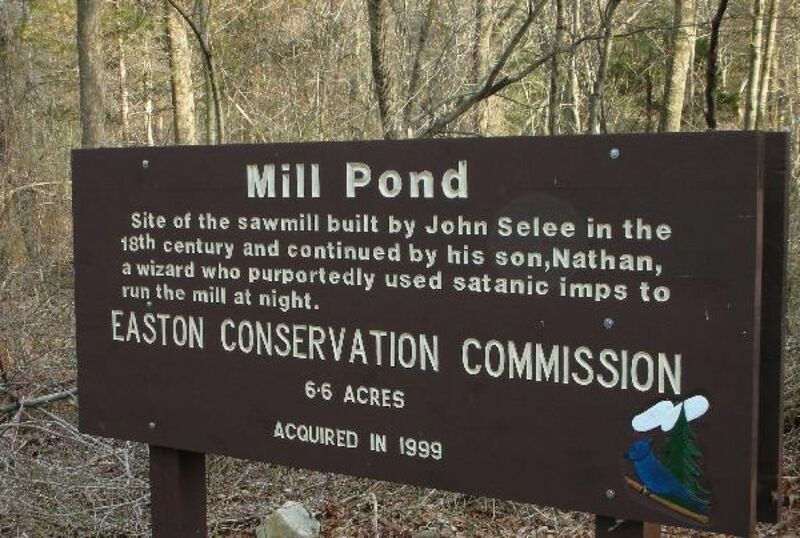 Mill Pond in Massachusetts with its tale of a wizard, the Devil and Satanic imps is a wonderful case in point. It is a great and simple sign to draw you in and arouse your interest. The legend tells of the Devil visiting Nathan Selee one night at his home and telling him to come and follow him. Nathan does this, taking one of his magic books with him as they leave the house. On opening the book a ferocious storm of thunder and lightening broke out, so scaring Nathan Selee that he ran back to his house and threw the book on the fire, stopping the storm. This infuriated the Devil, who gathered up some rocks as he went to follow Nathan back home, until crossing through a swamp he slipped, scattering the rocks that he carried. It was at this point while correcting himself from falling that the Devil stood on a rock leaving a huge foot print 24” long and 10” wide, a mark that can still be seen today. From this point on local legend has it that the satanic imps arrived to work at the mill, though for reasons not especially clear. Whatever the deal, whether it was at the price of his soul or not, Nathan Selee in one instant suddenly had a free work force to help run his mill. So what happened to Nathan Selee, the wizard. Across from where the sign has been erected is Easton cemetery, where the headstone for Nathan’s father John Selee can be found. However Nathan’s grave is noticeably absent. As a wizard with an understanding of the darker side of magic, and one with a pact with the Devil, did he ever leave this world and hence there would be no grave in Easton cemetery? Or perhaps at some point of his life he just moved. The beauty of such legends lies in the not knowing. The Easton Conservation Commission have done well in putting up such a mysterious sign that entices the imagination. It draws people in, it makes you want to go and have a look, to sense the atmosphere, and just as importantly it helps preserve a local folklore. Have you been to any similar locations? What story did they have? Have you been to the Mill Pond and the site of John Selee sawmill? What was it like? This video footage was taken by a drone as it explores the area around the 11 meter tall Dom Tower in The Netherlands. This is the tallest church tower in Europe. Standing 368 feet, the Dom Tower of Utrecht looms over much of the city and is the tallest church building in the whole of the Netherlands. Designed by John of Hainaut, construction of the stunning tower began in 1321 and took 61 years to complete due to funding problems. The tower’s size was supposed to demonstrate the power the Catholic Church held locally, but it wasn’t a popular structure amongst much of the clergy. Indeed, Geert Groote, the local preacher and founder of the Brethren of Common Life, was particularly vocal in his opposition of its construction, arguing that it was too tall, too ostentatious and too expensive. The tower now stands freely but originally it was attached to the Cathedral of St Martin. The nave of the cathedral was an ongoing building project for much of the medieval period and was still not fully completed when freak weather conditions struck in 1674. A tornado ripped through the building and left it ruins, but somehow the tower itself managed to survive any major damage. It was left as a single structure while the debris was cleared and even though the cathedral was rebuilt during the 19th century, the tower remains free-standing. The biggest threat to the future of the Dom Tower occurred in 1836 when a storm heavily damaged its top floor. There were some calls for the building to be demolished, but as it is the city’s main symbol, the decision was taken to restore it instead with work taking five years. While no longer connected to a house of worship, it is still possible to get married inside its walls. However, it mainly serves as tourist attraction and has its own visitor centre and gift shop. For a fee, tourists are able to climb its 465 steps and gain unrivalled views of Utrecht and beyond. You do not have to walk up all the steps at once thankfully as there are floors to stop off on, including the area where the tower’s 14 huge ringing bells are. Have you been able to tour any other impressive churches, cathedrals or temples? Which would you recommend? What’s worth going to see?